Investing in correct investment product at a correct time is very important. If you keep on investing money without proper study, you may end up into mesh situation. You should have a clear objective before making any investment. I have seen many people investing in the product based on the advice of friends or relatives. Do you think is it correct approach for investing? Investment should be done with proper planning. The ideal way is to consult the financial planner or expert before making any investment. However, if you can’t afford fees of financial planner here is ready reckoner explaining 10 factors to consider before investing in any financial product. You should be aware of objective of investing. You can easily find out objective by asking following question to yourself. For what purpose you are making the investment? How much you need as a final amount. This factor will help you in deciding how much amount you need to invest in which financial product. You need to know at what life stage you are making the investment. At the young stage when you don’t have any dependency you can take more risk and invest more, but at the old age your risk taking capacity reduces. Remember Investment needs differs at different life stage. It also depends upon your near and far term commitments. Investing when you get the bonus may differ from when you are planning for retirement or child education. Risk and return go hand in hand. You need to decide that you are ready to accept risk for high return or not. Invest in equity linked product if you are ready to accept high risk else invest in debt product. If you looking for better returns in short time, then you should be ready to bear the risk of the market fluctuations. Decide that you want to make an investment for short term or for the long term. This is called as Time Horizon for investment. If your time horizon is long term it is better to invest in share or in mutual funds. As you are likely to get a better return in the stock market at the long run. If your time horizon is a short term you can think of investing in fixed deposit. 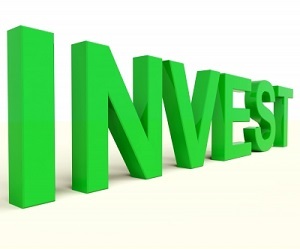 Another important factor is you are investing for the regular income or for the growth in capital. If your objective is to get regular income you should opt for debt based instrument generating regular income like fixed deposit, MIS, MIP etc. If you are looking for growth in capital, you can explore investing in equity or real estate. You should consider investment product from tax friendliness point of view also. The government has declared some of the best tax saving investment options. Investing in this options will help you to reduce your tax burden. However, the majority of tax saving instrument comes with lockin period. Liquidity is another important factor you should look for before investing in any asset. Liquidity means the degree to which an investment can be quickly sold in the market and cash can be obtained as and when required. So, if you are sure that you will be needing money in near term you should invest your money in highly liquid asset. The loan is another factor which you should look for while making an investment. Two factor you need to see first is wheatear you will be able to get the loan on investment or not. The second factor is how much loan you actually owe. If you have already taken loan it is good idea to prepay loan before investing. Before investing any money, you should build an emergency fund. This is one of the vital factors before making any investment. Setting aside emergency fund is very vital as it will help you not to touch your investment in case of need. If you have not built an emergency fund and you are making an investment for emergency fund make sure you are investing in the product which is highly liquid. The last point which you should consider before investing money is your asset allocation. You should make the investment in the different asset class. Investing in the different asset class is called as diversification. Diversification of portfolio always helps in reducing risk. I hope factors mentioned above will help you in making the right investment. Share your learning from this post in the comment section and put your queries if you have any. It would be good if you can share this post with your buddies to help them understand the factor to be considered before investing money.